Stand straight. Feet are shoulder-width apart. 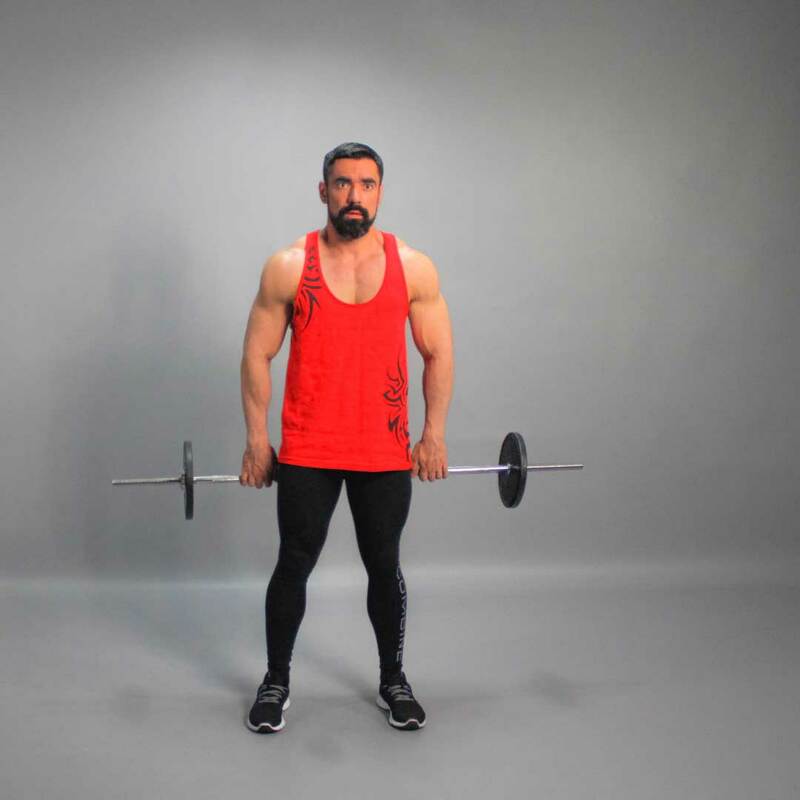 Hold a barbell behind you at arms length. 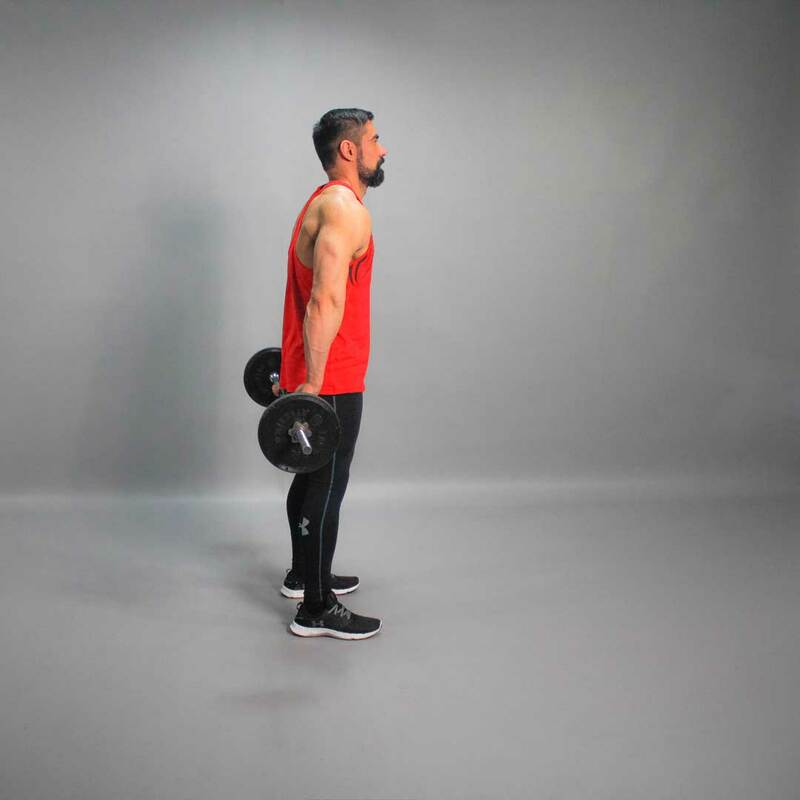 A medium grip (arms are shoulder-width apart, palms facing back) is best for this exercise. You can use wrist wraps for a better grip. This will be your starting position. Keep your head up. 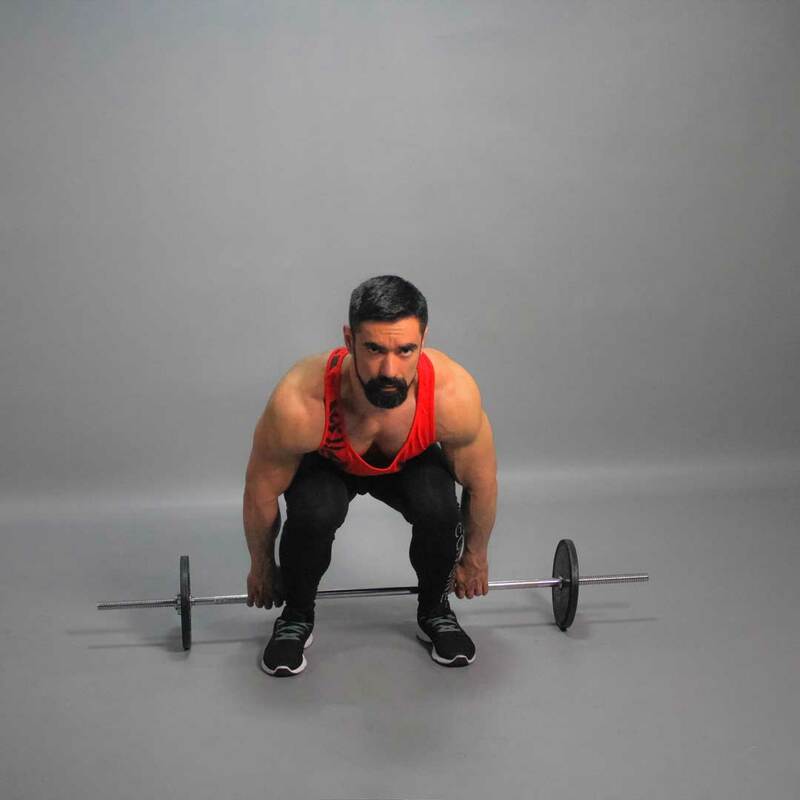 Inhaling, start to squat until your upper thighs are parallel to the floor. Exhaling, go back up to the starting position pressing with the feet and squeezing the thighs. 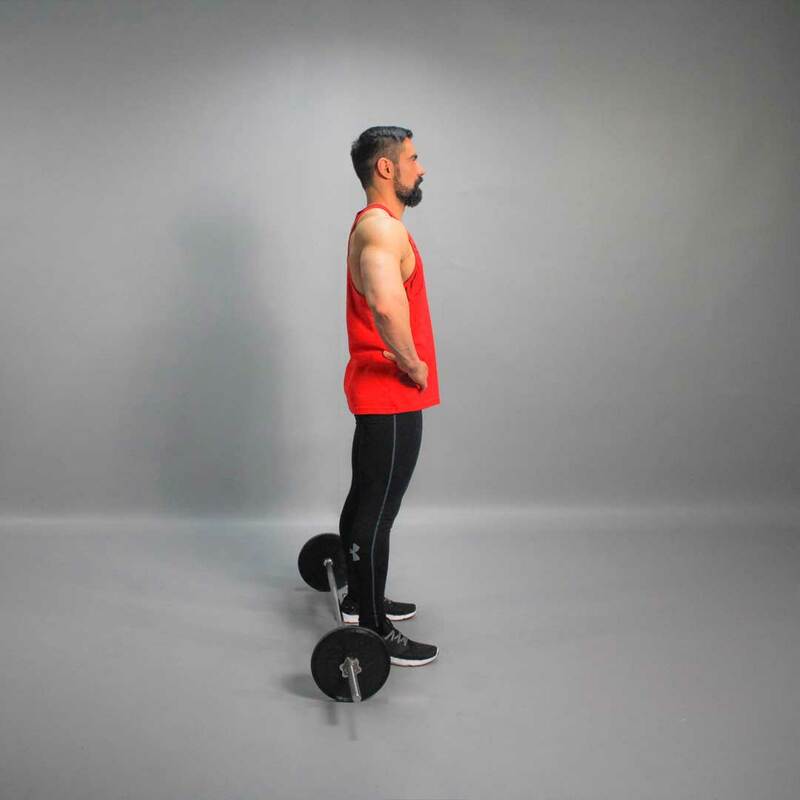 Tip: You can also perform this exercise with a small block under the heels of your foot. This helps beginners or those who lack the flexibility to perform the exercise correctly.